Hello! 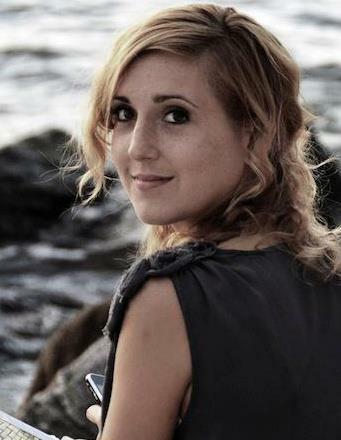 I’m Stephanie Sander Amy, Owner of @Stephsandy Consulting, LLC. It’s been a pleasure to have the experience of working professionally in social media over the past 11 years. I’ve worked with large companies such as Lamar Advertising, medium-sized companies in New York, Dallas, Los Angeles, Denver, Miami, Chicago, Boston, Baltimore, Atlanta; internationally in Australia, Portugal & the United Kingdom, as well as small local companies near me in Louisiana. Social Media Marketing Consultant, at your service! My social media marketing services are designed to save your company time, money and a whole lot of frustration. I’m here to help you get going on the right foot, with the right tools for your business and target market with a well-developed social media marketing plan. You will find yourself light years ahead of your competition and well on your way to a lasting social media program that will serve you for years to come. You can also find me on Facebook, Twitter, and LinkedIn. 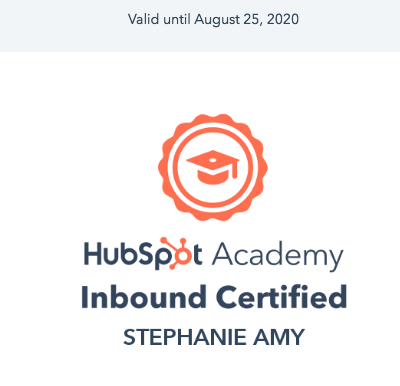 Did I mention that I’m Inbound Certified through HubSpot Academy since 2016? Below are my certificates.